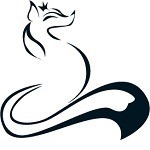 Hello sisterfox! It's so wonderful to have you on the forum! I love your dolls, and I can't wait to hear all you have to share. <3 Welcome! Hello SisterFox....So nice to have your presence here. I am a big fan of your dolls! I love that we are able to communicate with the artists directly on this forum! Hi Sisterfox- thought I had already welcomed you here, but it seems not!!! Looking forward to seeing some more of your beautiful works of art. I need to find some time and take some nice photo's of Sakura and Miroslava to share with everyone! it's so great to see you're here too, sisterfox... wow! Hi, your dolls are beautiful!! Welcome to this lovely forum- you will meet lots of like-minded people here! Thank you) I am glad to join your wonderful community! Welcome to the Forum Inna!You have really lovely dolls and I like on your website,that we can choose the languages. Thank you for sharing your beautiful dolls. I'm happy to meet you! 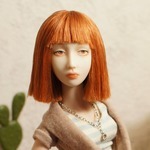 HI Julia, I have seen your dolls, very unique look which I like a lot! I really liked the girl in purple with the short hair- so feisty!